It’s time for some road trip honesty. I picked San Antonio as a destination because it was close to the Mayan Dude Ranch and Austin. I had not heard of the famous River Walk or even pictured it as a city. I just imagine the Alamo and not much else. When my friend and true texan R We There Yet Mom recommended at least two days in San Antonio, I thought she was crazy but listened. Turns out she was right. Here are my suggestions for a perfect weekend in San Antonio with kids. The key to a great weekend in San Antonio is the perfect hotel. With kids it is vital to stay on the River Walk. You have access to great restaurants, cool shops, water taxis and the ducklings. 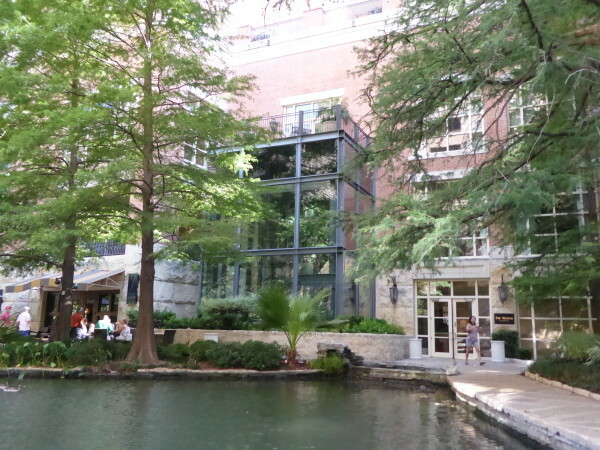 We stayed at the Westin River Walk. You may or may not know this but I am a Westin fanatic. I simply love their Westin Heavenly Bed. I can’t explain it beyond admitting that I actually bought the bed, bedding and even dog bed after a stay at the Westin. It is my idea of a perfect night’s rest. Obviously, I was pretty excited to check in. Upon doing so, I was welcomed warmly and shown to a spacious room with a king size bed much like the one I have at home. The pool was also fantastic as was the pool side staff. To be honest, after that, things sort of went downhill. The hotel was busy and it was very difficult to get our luggage. We also were only able to check in to our room around 5:30 pm. To make matters worse, we were all soundly sleeping at 9:45 pm when someone knocked on the door to offer turndown service and woke up both my kids. To say the least, it wasn’t what I expected of a Westin. To be fair, the next morning things really turned around. I awoke with a bad sinus infection and terrible throat pain. I ordered breakfast for the kids with a hoarse voice and the chef sent up a honey smoothie to try and easy my pain. I also was directed to the nearest pharmacy and even offered help to get there. It was literally 100 feet away. When we went to check out, the hotel manager stood at the desk addressing guests’ concerns about the night before. He spoke to me at length about our experience the night before and I truly believe he was intent on making sure it would not happen again. We spent most of the day coming in and out of the Westin on the second day and experienced an entirely different hotel. Things were orderly, guests were happy and I would not hesitate to recommend staying there. Particularly because the food and location cannot be beat. Speaking of food, San Antonio has it all. From authentic Mexican to Italian and even Joe’s Crab Shack, food is everywhere. 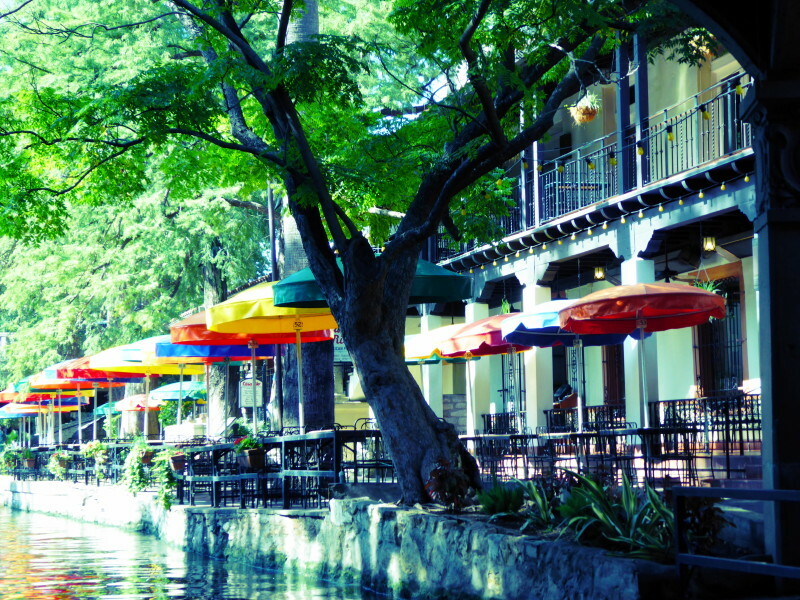 We spoke to a few locals and asked what was the best food on the River Walk. More than one person told us to head to Lüke’s, so like lemmings off a cliff we beelined to the restaurant. Located in downtown San Antonio, this place is worth visiting. Don’t be thrown off by the waiters in white jackets or the bar like atmosphere, kids are definitely welcome at this establishment. With my tiny foodie on board and Will reluctantly being dragged in, we were sat close enough to the bar that I felt like an adult again. 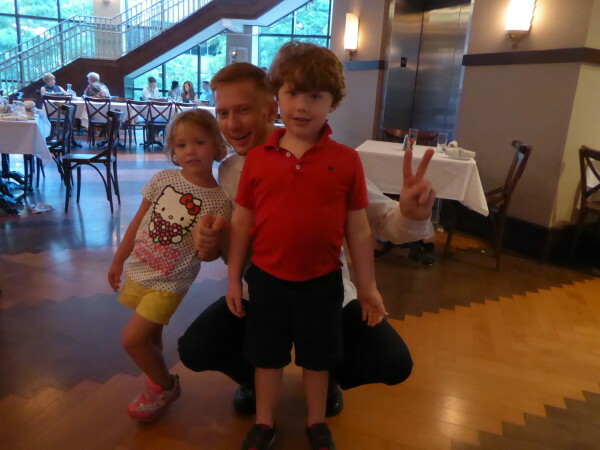 The server was knowledgeable and kind but also funny and great with kids. Charlie and I tested out the quail and burger while Will stuck with his tried and true Mac n Cheese. Charlie and I loved every bite but Will turned his nose up to the actually delicious and homemade pasta. The server immediately came up with other suggestions and Will was served a delectable grilled cheese sandwich. Although I explained that Will’s pickiness was not the restaurants fault, we weren’t charged for either of his meals. Tip: Look up. The ceiling fans in this restaurant are all connected by bands and kids will marvel at how they work. Also, don’t leave without trying the monkey bread and homemade ice cream. I would like to reiterate before I tell you this that I am Canadian. I know nothing about the Alamo. Seriously, besides a few movie references and quotes, who really knows what happened there? San Antonio does. When you head to the Alamo, it is a cool place to explore but the staff, volunteers and historical societies make it all the better. Charlie and Will met with people dressed in time period suits and got to see modern day items as they were during the time of the Alamo. We also loved walking the grounds and seeing the historical items. Even if you ahem don’t know what the Alamo was, you will enjoy your visit and hopefully, like me, leave with an actual idea of what happened there. San Antonio is hot. Like really hot. While we were visiting, we kept hearing about the cold front that had come in. As I wiped my brow and tried to hide my sweat, I nodded in agreement that it was really cold out. Luckily to escape the heat, you can head to the air conditioned indoor San Antonio Children’s Museum. 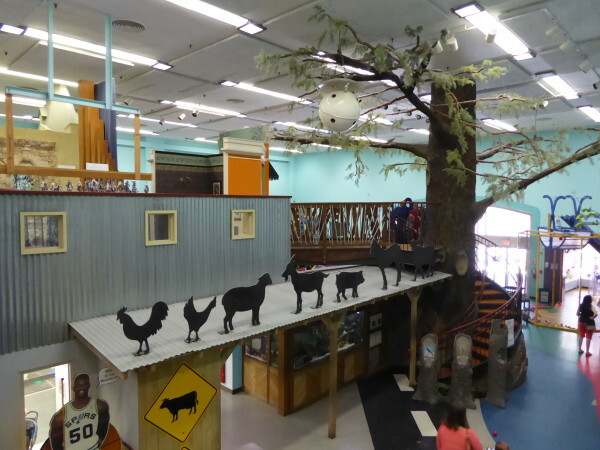 Split between three floors, the museum will keep your children busy for hours. From the Kid powered elevator and the ball hall, I could barely drag my kids within 50 feet of the entrance. I had to actually sit them down and explain that there was a whole museum to explore. Tip: The basement is not well marked and has really fun exhibits in it including a full sized kids market as well as a really neat bubble exhibit. We spent a lot of time exploring the top two floors and only found the basement with very little time left. Leave time for this part of the museum. Until I arrived in San Antonio, I had not heard of the Natural Bridge Caverns. I looked at the map of San Antonio and thought they were a little too far out to bother going to. In the end, I changed my mind and I was glad I did. The story behind the caverns is that in 1960 four university students found them after seeing the natural limestone bridge above ground. The caverns have since been developed so that everyone can enjoy them. 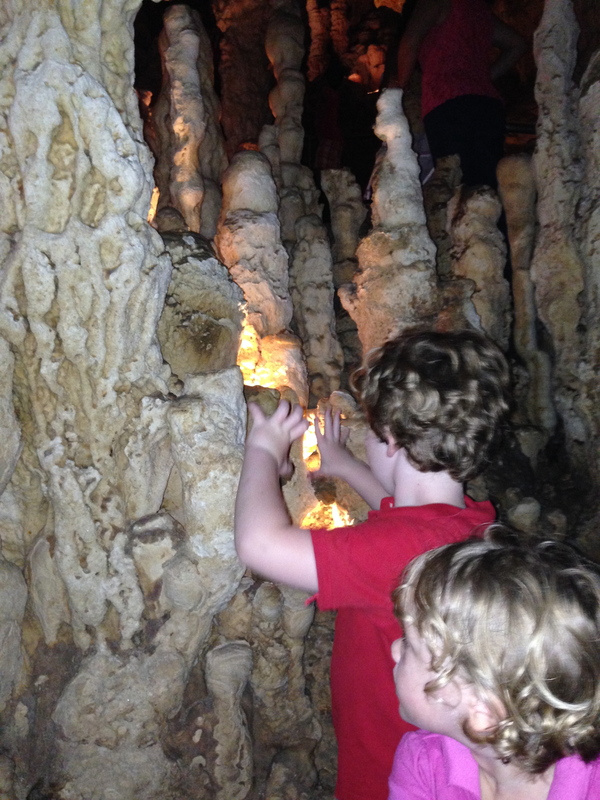 I hesitantly entered the cavern because I knew the kids would love them. I am also slightly petrified of bats. On the entire tour, there was one teeny tiny bat that was protected by the staff. Other than that, we saw the most amazing caverns. The kids trekked through the steep inclines and declines with ease thanks to the handrails. We all were blown away by what we saw. The really neat thing about the caverns was the backstory. I kept explaining that these students were simply out for a walk when they discovered this amazing piece of nature. Will and Charlie are now looking in every hole we see hoping to find a giant cavern of their own. 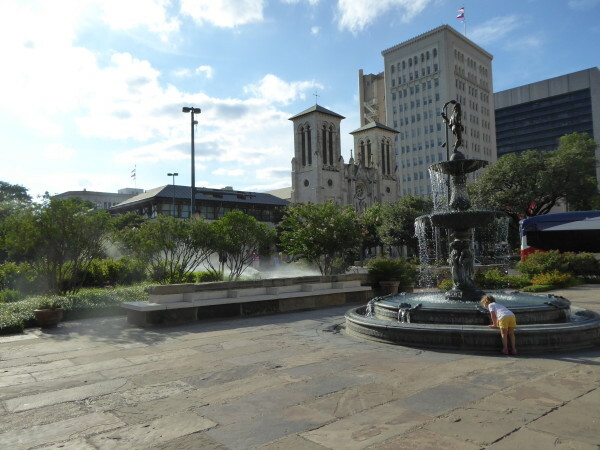 Whether you are exploring San Antonio with kids or without, you will not be disappointed. This city is incredible. From the serene beauty of the River Walk to the kids activities and gourmet food, there wasn’t a moment that I regretted stopping there. 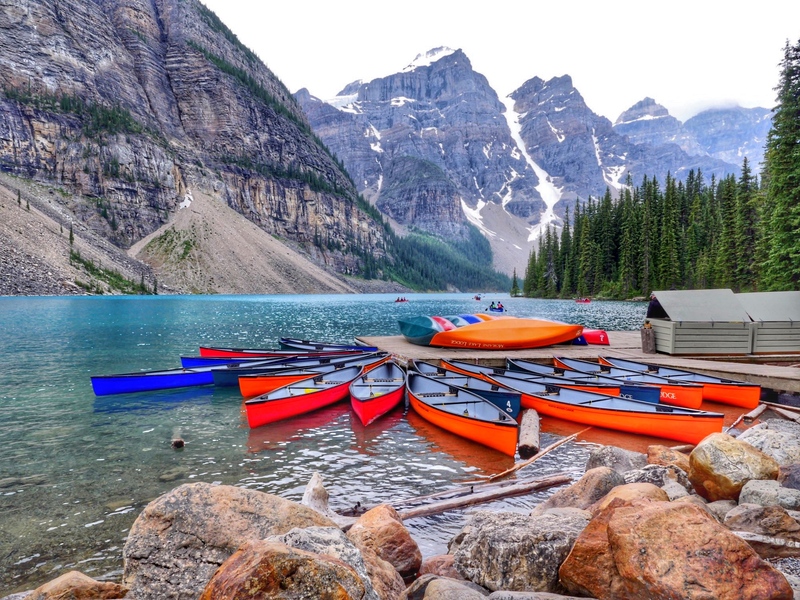 I loved it with kids but cannot wait to go back on an adult only trip to see what else it has to offer. Ah, my city! I love that you loved San Antonio – it has such amazing culture and friendly atmosphere and FUN!!! I wish you could have stayed longer!! !